If you noticed that I was missing from this blog for a little while that's because there was some sad news that recently happened in my life: in less than 6 months I lost three members of my extended family :( I lost two of my close cousins and my husband's uncle who I respect very much. The impact was quite big for me after losing that many family members in just a short of time, so I needed a mourning time. But anyway, I'm back to my usual activities now because I do have jobs and tasks to be done, and tomorrow is the first day of Ramadhan day so I am excited for it and I would like to say "happy fasting" for all of you who would do the fasting this year! 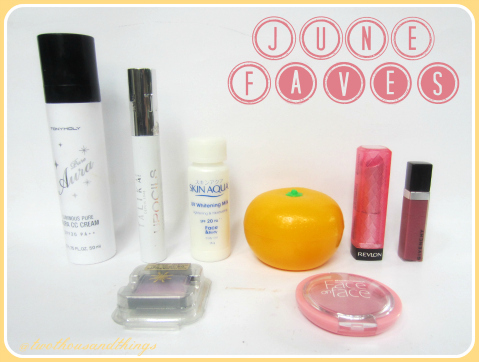 There are a few products on the list above that I have once put in my previous Monthly Favorites post such as the Revlon Lip Butter and the Talika Lipocils, but I found myself falling in love with them again last month and been using them a lot during last month, so that's why I put them back in my Monthly Favorites post for the month of June. This has been my go-to everyday makeup ever since I first got it from KoreaBuys website. Although this doesn't give lots of coverage like a BB Cream but this one is superb for everyday natural makeup when I don't need a lot of coverage on my face, because this product corrects and even out my skin tone. I also love using this CC Cream routinely because I found that the many skincare benefit in it really does helps improve my face skin condition. 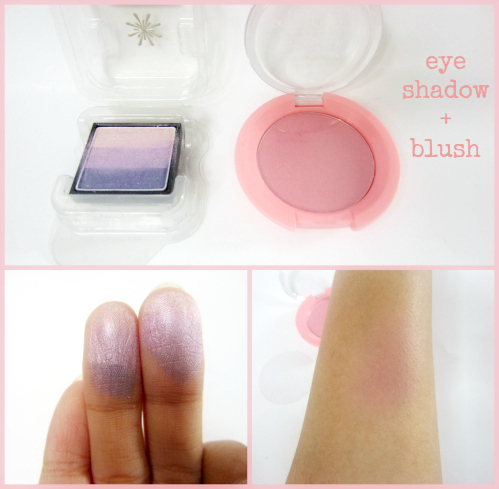 I once tried this product several months ago and was happy with the result, but I only tried the sample back then. Recently I had a collaboration with Talika and did a Talika 30 Days Challenge project in which I've tried using this product for 30 days to see the weekly results. And after trying it for a whole month I am really satisfied with the result! You can see my weekly updates & result on the Talika 30 Days Challenge here. This is one of those product that I got because I was interested with the packaging. I love cute packaging like this one :) I used this at night before I go to sleep because I put this on my bed side table. I usually couldn't stand citrusy scent because it makes me sick in the stomach, but this one smells so fresh and doesn't smells artificial so I actually like the fresh citrusy scent in this one. I also love the texture and the fact that it does not feel greasy at all on the skin. You can read my FULL REVIEW here. I love layering my lipstick with a lipgloss to add some shines and to accentuate the shades even more. 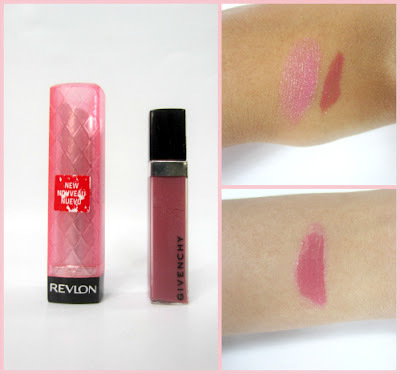 This combination of Revlon Lip Butter in Strawberry Shortcake and Givenchy Lipgloss in #04 has been my go-to lip color option for pretty much everyday during the month of June. The combination of the pale pink strawberry shortcake color with the mauve color of the Givenchy lipgloss creates a perfect shade for an everyday lipcolor. Well, that's it for my June Favorites. Have you tried any of the products above? What are your current favorites? If you want to also check out my previous May Favorites, you can read it here.